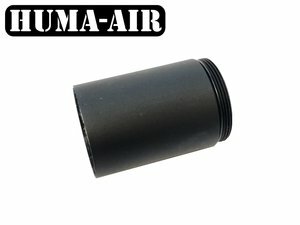 This unique, lightweight, Modular Airgun Silencer or Moderator System (Patent Pending) allows you to configure your personal silencer in terms of lenght, caliber, volume-chamber size and content of the internal silencer chambers to achieve the best possible sound reduction matching your complete rifle collection. 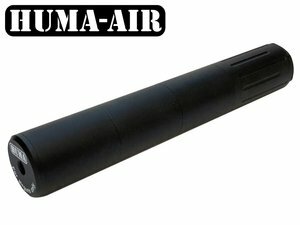 The silencer is made of a base module with 1/2UNF tread and several 40 mm chambers filled with a metal wired sleeve and Kevlar (aramid) enforced ballistic fibers for perfect sound absorpsion. The diameter of the MOD30 model is 31 mm. 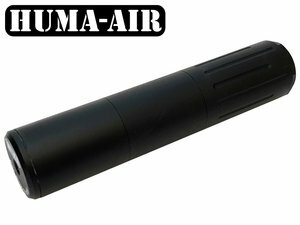 The body is made of high grade, lightweight aircraft aluminum, glass pearled and matte black anodized so there will be no reflection when hunting. 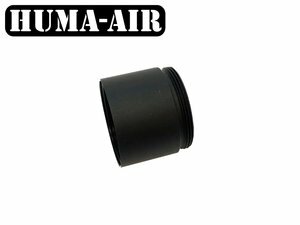 Optional 20 mm volume chamber for the Huma-Air Modulair Airgun Moderator.